Paramedic Russell Flick is used to caring for others. He is used to reassuring other families. He is used to calling Air Evac Lifeteam. But on September 24, 2013, Russell experienced healthcare from a completely different viewpoint. His 2 year-old daughter, Reese, fell while playing on the wooden play structure in the family’s back yard, hitting her head on the wood that surrounds the sand box. Russell was at home and called his partner to bring an ambulance to the home immediately. His daughter was unresponsive. “I started doing rescue breaths on her, and I called dispatch on my radio and told them to launch Air Evac for a scene flight,” Russell said. The Quincy, Ill., Air Evac Lifeteam crew met Russell at the landing zone, where he handed his baby to flight nurse Lisa Weeks. The team at Blessing Hospital performed a CT and determined Reese needed to go to a facility in Peoria, Ill. The Quincy Air Evac crew was unable to fly, but early activated the Ft. Madison, Iowa, Air Evac base. It’s why Air Evac places its bases contiguously – so if one cannot respond, another may be able to fly. Base Clinical Lead Eric Bean assured Russell he would care for Reese as if she was his own daughter. “I’d never been on that side of healthcare…but it made such a difference knowing that they would care for her just like we would,” Russell said. Reese suffered a serious concussion and an Occipital fracture of her skull. 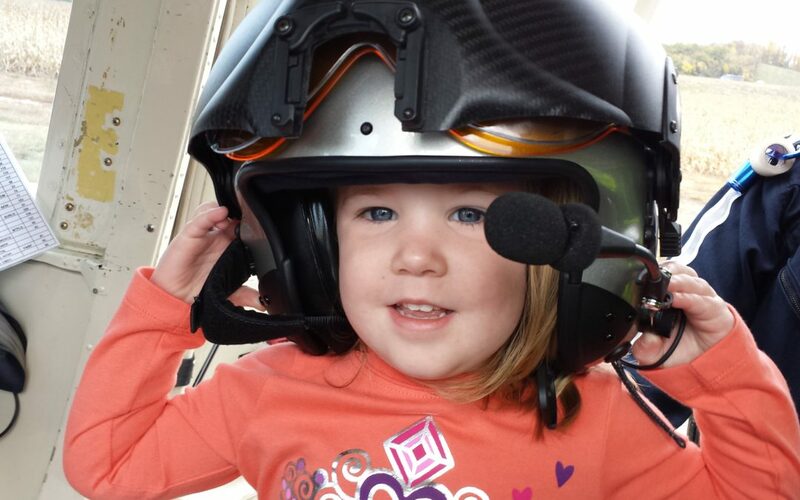 She made a full recovery, and is a normal, active 3 year-old.